The unfortunate reality is that Christians are separating and divorcing at the same rate as the unbelieving world. But does separation have to mean the end? You may not feel like reconciling. You may not see hope for a reunion. But the biblical ideal for a separated couple is reconciliation. So how do you do it? When doors slam and angry words fly, when things just aren't working out, and even when your spouse has abandoned your trust, there is hope. 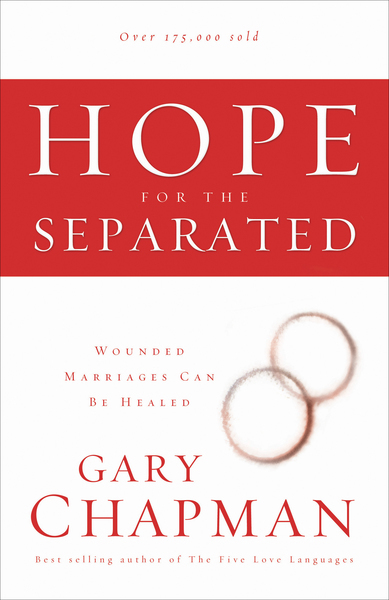 Hope for the Separated will show you through God's Word that your marriage can be restored. Recognizing that restoration will not happen for everyone, Dr. Chapman also gives insightful advice for those who experience the pain of divorce.